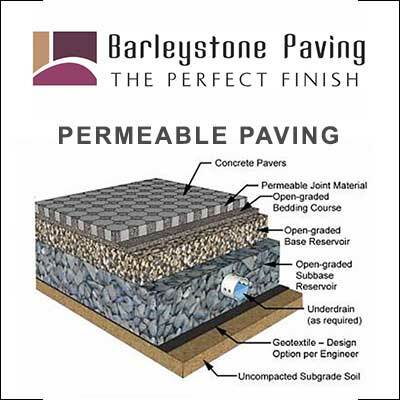 Are you looking for a different alternative for your driveway or patio? Have you thought about resin bond? 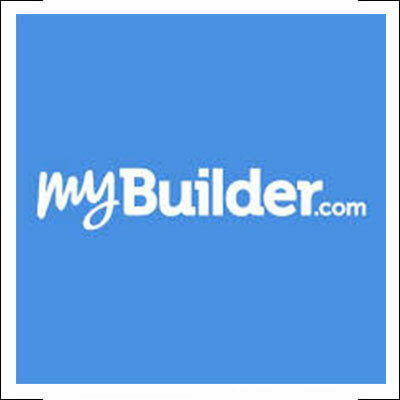 We are local resin bond contractors for Milton Keynes. 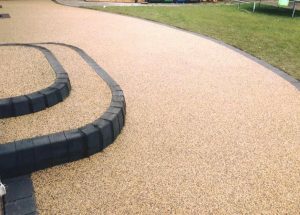 We can install resin driveways, resin pathways and resin patios. Range of choices on colour and finish. 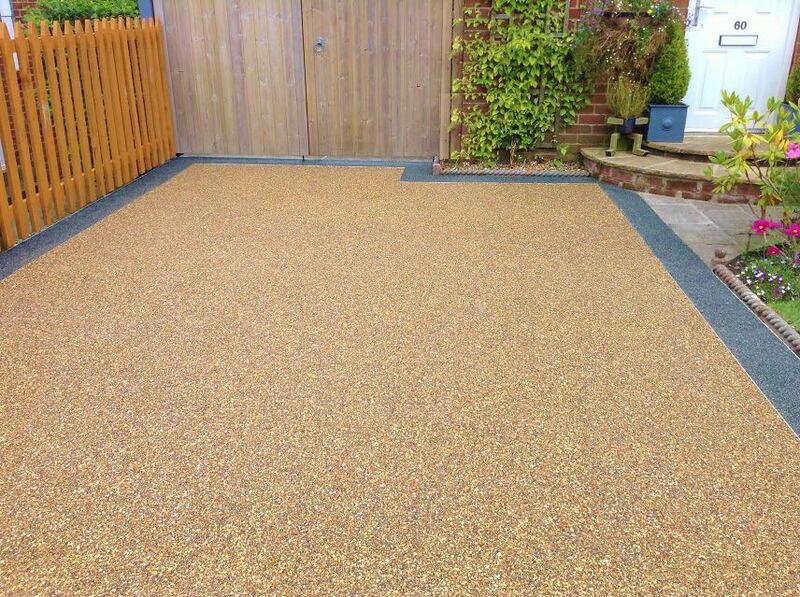 Resin bond driveways and patios have become more and more popular in the recent years. One of the reasons to choose resin bound driveways over block paving is because they can be overlaid onto existing concrete or tarmac, saving you a bundle! 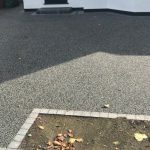 This saves money as there are no excavation costs in most cases and don’t forget the average lifespan of a quality installed resin bonded driveway is 15 years plus! 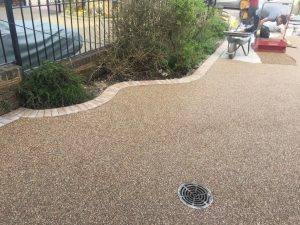 Picking the right contractor in Milton Keynes for resin bond or resin bound can make a huge difference. 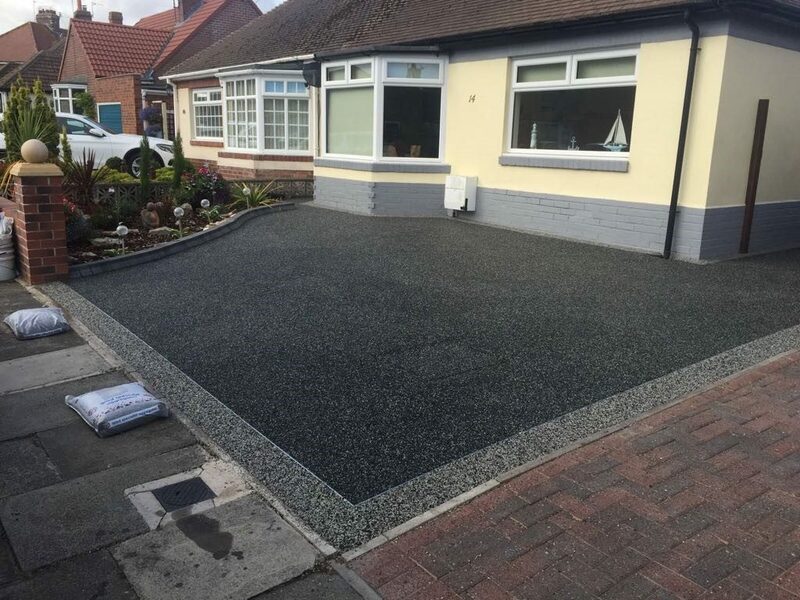 With our experience, we can provide you with cost saving options while still ensuring a quality finish to your resin driveway. 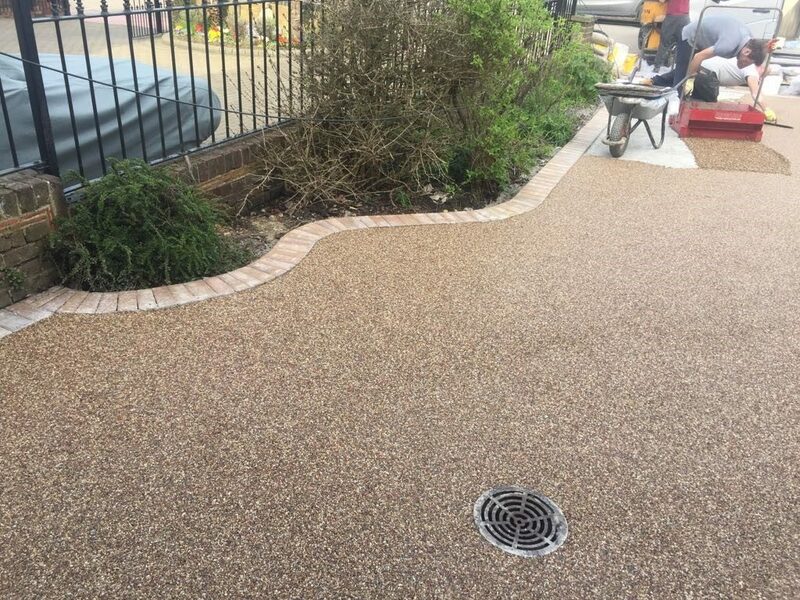 We can install resin bond over concrete or tarmac, create custom tailored patterns into your resin and add extra features like granite borders, drainage or steps. 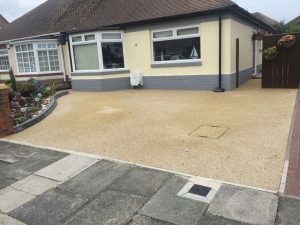 Resin bonded and resin bounded driveways have very good anti-skid properties and are ideal for the householder who likes the appearance of a natural stone aggregate driveway, but does not want loose stones in their homes. Chip finishes are available in a wide choice of colours and textures which we can go through with you when quoting you. 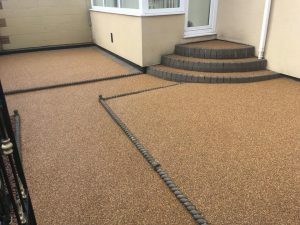 We use only industry standard bonding materials and natural stone aggregate when it comes to your resin driveway, resin pathway or resin patio. As with all natural products there is always a little variety in the colour of the stones which we can show you during the quotation stage. As the owner, Steve ensures the work is done to the standard that JSM Driveways has built for itself over many years of quality driveway installations with resin, block paving, gravel or tarmac. All the work JSM Driveways carries out is set to his exacting standards to ensure the longest durability at competitive pricing.